In the weeks after his parents filed for divorce, one 3-year-old boy bombarded his paternal grandparents with invitations to visit his house. It was a tricky situation. They wondered if their son would view an appearance at his ex-wife’s house as disloyal. They questioned if their daughter-in-law would even feel comfortable seeing them so soon after the breakup. On the other hand, their grandson was reaching out to them. Would he feel abandoned and unloved if they didn’t make a point to honor his request? The couple hemmed and hawed before ultimately deciding to go to their grandson. Rather than enter into his home, though, they picked him up and took him to a nearby playground. If your adult child is getting divorced, grandparenting is about to get a lot more complicated. Suddenly it’s no longer just about building sandcastles with your grandchild, scarfing down ice cream, and letting him stay up past bedtime to catch the tail-end of his favorite Disney movie. Now, there are the feelings of four different groups to consider: the other grandparents, your child, your child’s ex-spouse, and your grandchild. After your child’s divorce is announced, your home and the time you spend with your grandchildren should remain as similar to pre-divorce visits as you can manage, says Lillian Carson, Ph.D., a psychotherapist and grandmother of 10 who wrote “The Essential Grandparents” Guide to Divorce: Making a Difference in the Family” (Health Communications). “Time with grandparents can be a relief for grandchildren who may be caught in the middle of two parents. Your home should be a neutral zone.” Keep the focus on your growing relationship with your grandchildren, not their parents’ disintegrating one. 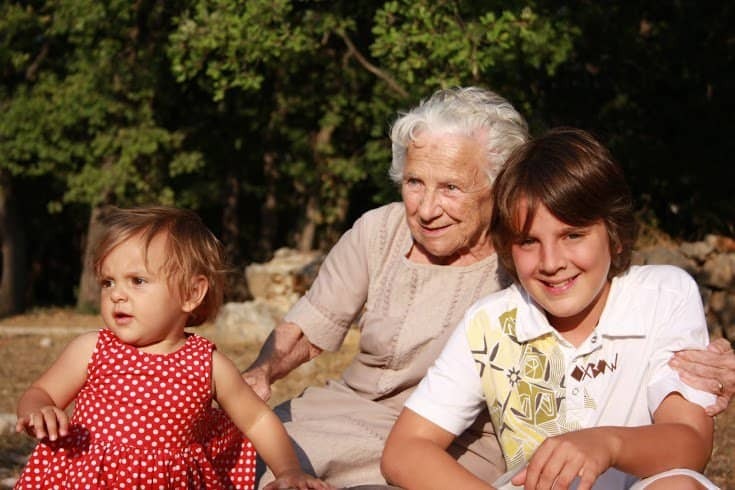 Only when your grandchildren mention the divorce, should you address it with them, she says. If they mention it, be an attentive listener and offer your love and empathy. Chances are you may be feeling emotions similar to theirs: anger, guilt, sadness, anxiety. Both your grandchildren and you are involved in a difficult situation that was not your choice to enter into.